The second in the anniversary reissues of classic albums called Chasing The Sun will continue with the release of the band's second LP in September in an expanded edition. 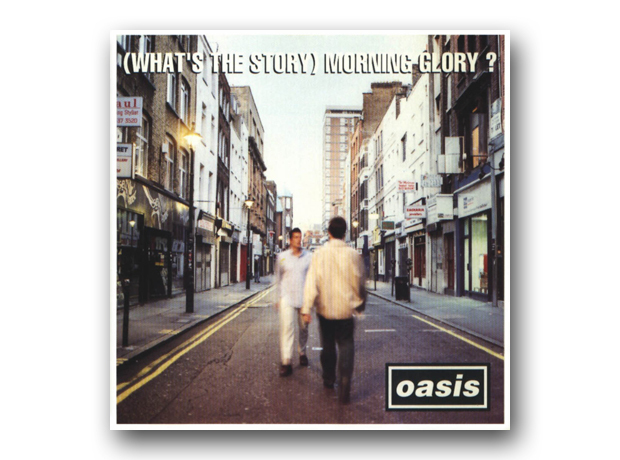 Oasis's biggest-selling album, (What's The Story) Morning Glory? was originally released in October 1995 and went on to spend 10 weeks at Number 1 and sell 22 million copies. The defining album of the Britpop era, it includes the classics Don’t Look Back In Anger, Wonderwall, Some Might Say, and Roll With It. The new, expanded edition has been remastered from the original tapes under the supervision of producer Owen Morris and will feature B-sides, unheard demos and live material. Highlights include previously unheard demos of She’s Electric and Rockin’ Chair; demos of Some Might Say, Hey Now, and Bonehead’s Bank Holiday recorded for the first time at the band’s soundcheck in Tokyo in September 1994; and live recordings from legendary gigs such as Knebworth House, Maine Road Stadium, Earls Court, and Bath Pavilion. The (What’s The Story) Morning Glory? Chasing The Sun Edition is available as a standard CD and digital download, Special Edition 3xCD & digital download, 12" vinyl LP (with digital download bundle of all bonus CD content) and as a Deluxe Box Set including LP, Special Edition CD, 7" of an exclusive demo, replication of an original 12" promo and merchandise. The first release in the series, Definitely Maybe, recently entered the album chart at Number 5, selling almost 20,000 copies in its first week. The next album in the series will be Be Here Now.